Powervault secured a place in the final at InnoEnergy‘s global call for electricity storage businesses. 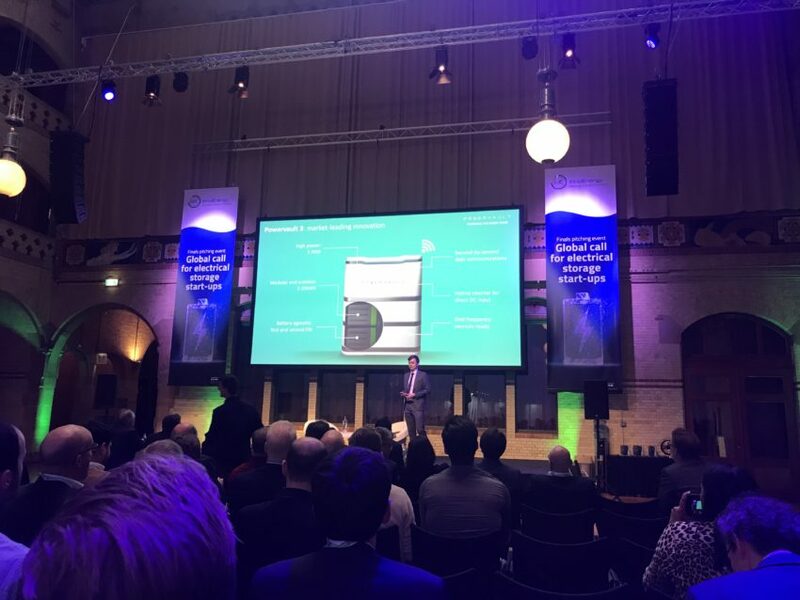 The final, held at Beurs van Berlage in Amsterdam, saw 10 winning finalists from across the world go head-to-head for the crown of most innovative electrical storage technology or business model. Narrowed down from over 220 applicants, all 10 finalists will receive a place and a tailored package of support, training, services and funding. Finalists are allocated to a programme depending on their specific business needs; the Highway uses a hands-on approach to support early stage start-ups in the go-to-market phase, helping ready products for commercialisation while the Boostway programme supports scale-ups to grow their businesses.